The wait is over here if you are looking for Yamaha Scooter parts! End your prolonged search of Yamaha Scooter parts here and make a smart decision of buying everything online. Our vast selection of top-notch equipment and scooter parts provides an ideal way to get your scooter out of garage and bring it back onto the road. In some of the cases, it becomes quite difficult to identify parts that are most suitable for your vehicle. If you are at CMS then you won’t face such problem because we offer only precise Yamaha Scooter parts that are well compatible with your vehicle. 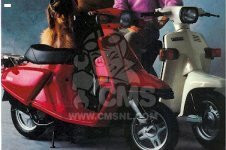 Apart from the list of our fast moving items, we also have a stock of several difficult to find items of famous scooter models. Some of them consist of Yamaha Aerox, Yamaha Cygnus 125, Yamaha Jog scooter, Yamaha TMAX and many more. Go through our rare collection of scooter parts which are always in high demand. Yamaha scooter parts that can withstand any critical condition! If extended storage or weather is an issue then you can definitely look for items that will help you to protect your scooter from rain, snow or dust. If you want to give customized touches to your vehicle then check out some scooter accessories here. They will allow your vehicle stand out in competition and look like a unique masterpiece. Our Scooter parts are not just for repair purposes but they are also meant for something more. 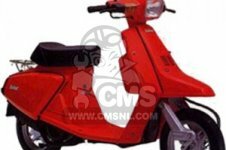 Most of the times, scooter spares play an important role in enhancing performance as well as look of your vehicle. Most of the customers also use them to make a unique style statement. Our staff has acquired an extensive knowledge in the field of scooter industry to make sure that the buying intend of customers is rightly served. We are confident that all these items will surpass the expectations of even our most demanding customers.